Panasonic tells us it intends to split its GF camera series. Panasonic intends to release a Lumix GF camera aimed at advanced photographers, the company has confirmed to our colleagues at PhotoRadar. Speaking exclusively to PhotoRadar, Panasonic's Director of DSC Business unit Ichiro Kitao said that although he was unable to confirm a date for such a camera, Panasonic plans to split the GF series into two lines and release a GF camera aimed at experienced photographers. 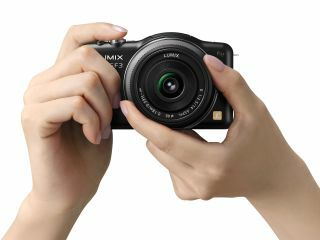 This news will be welcomed by many owners of Panasonic's first GF series camera, the Lumix GF1, which is a popular choice for street and reportage photography. Panasonic GF1 users were largely disappointed by what has been referred to as 'dumbing down' of the camera line for the GF2, which has fewer direct control buttons than the Panasonic GF1, most notably there's no mode dial or AE lock, and has a touchscreen. Though the Panasonic GF3 is also aimed at novices wanting to upgrade from a compact model, it has more refined handling than the GF2 and is 17% smaller, which may make it attractive to enthusiasts. Kitao told us that the company's next priority is the GH series and bringing out a successor to the GH2. The GH series is Panasonic's premier camera line and is very important to the business, he added. Keeping pace with the improving image quality produced by APS-C format camera is a challenge for Panasonic, as it uses smaller Four Thirds-type sensors. Though they have some advantages over optical viewfinders, Kitao said he recognises that electronic viewfinders (EVFs) are still not widely popular and improving them is a key target – especially for the Panasonic GH3. Improving EVF resolution and refresh rate is a priority and Panasonic intends to liaise with its supplier, Epson, to achieve this.